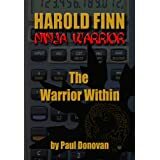 Harold Finn—Ninja Warrior by Paul Donovan is a fast, fun read, with quirky characters that easily held my attention right from the first page. Harold appears to be an average, somewhat bumbling, office nerd at the beginning, but we soon learn he is much more than that. After he and his lifelong friend Connie stop for Chinese food one night on their way home from work, Mr Doshi, the owner, tells Harold he is the Ninja Warrior, one they have been waiting for. These characters remind me a lot of “Buffy, the Vampire Slayer” stories by Christopher Golden in the fun way they interact with one another. Harold becomes the Ninja Warrior in much the same way Buffy became the vampire slayer. It’s the way these characters work off each other that makes the novel so much fun to read, a perceived lightness to otherwise dark and dangerous circumstances. When Connie’s parents are killed under odd conditions, Harold must hope he has learned enough from Mr Doshie to keep him and Connie alive. Their boss, Kendall Kirch, doesn’t care who he has to eliminate in order to proceed with his evil plans, even pulling the plug on his own father at the hospital. He ordered Connie’s parents killed and will think nothing of adding her and Harold to the list. I would have liked more information to be given about this mysterious warrior—where did he originate from, why Harold? Was he born the chosen warrior, or did it come later on in life? This part was more or less passed over, but even so, the characters still each had separate 3D personalities and I was easily able to picture the scenes. There were some issues with editing that I found mildly irritating. I felt the text could have used one more round of editing to catch the occasional typo and a few issues with punctuation before it was released to the public. Though I took note when I ran into these places, they weren’t enough to seriously take away from my enjoyment of the story. Without the editing issues taken into account I very likely would have given Harold Finn, Ninja Warrior five stars instead of four. A highly entertaining read and I recommend you take a look. For sure I’ll be watching for the next novel by Paul Donovan starring Harold Finn and Connie Stinson.